The best fuel injector cleaner is the Chevron 65740 Techron Concentrate Plus that cleans, restores and protects the entire fuel system of the car. Fuel systems that have not been treated with injector cleaners can see reduced fuel economy, reduced power, rough idle and other performance related issues. To ensure the fuel system of your car is as clean as it can be, regular usage of a fuel injector cleaner is required. The carbon deposit, dirt, gunk or varnish can be tough to remove if the car has been neglected or heavily used. Car owners that always use lower quality octane fuels are prone to additional carbon deposit build up too. The build up of dirt can even result in the “Check Engine Light” appearing and requiring an OBD2 scanner to remove the error code. The benefits of using a fuel injector cleaner should be more than enough to sway your decision to start using it for cars fuel system. Below is a list of the best fuel injector cleaners to remove carbon deposits from the complete fuel system. The Chevron Techron fuel injector cleaner is highly rated worldwide as a powerful product to clean, restore and protect the entire fuel system. 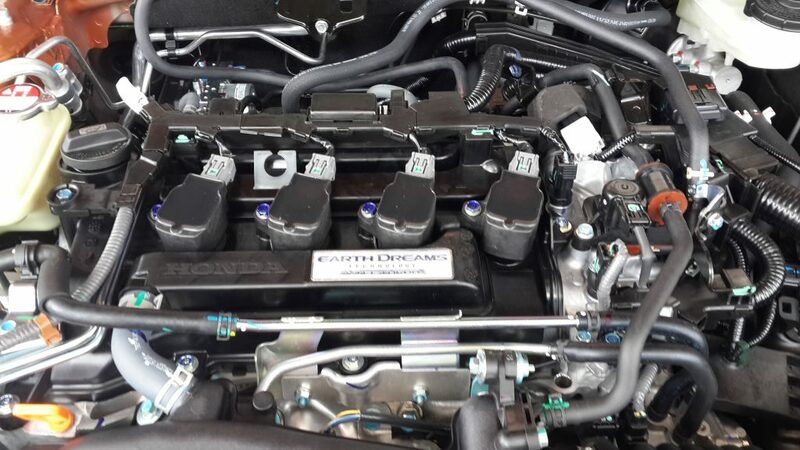 The effect this has on the car is more power, better throttle response and an improvement in fuel economy. Hard cold starts caused by a dirty fuel system can be a thing of the past with regular usage of the Techron injector cleaner. With lab tested proven results, the Techron by Chevron is an injector cleaner that you can trust to clean the complete fuel system. Overall, it is the best fuel injector cleaner for the money and does exactly what is says on the tin. Lucas Oil are a popular American brand that provides a range of oil additives for cars and marine equipment. Anything from high emissions to a better combustion, it is both a gasoline and diesel fuel additive that is suitable for a range of engines. It is sold by the gallon, so it is more expensive but when you compare the value for money per gallon, it works out around the same price as the other alternatives. When it comes to Lucas Injector cleaner, you will not hear many bad words. It is a top rated injector cleaner that will eliminate all carbon deposits from all fuel systems. The Liqui Moly Jectron is sold in 300 ml containers and designed for performance gasoline vehicles with issues caused by low octane fuels. For medium to heavy carbon deposits, the Liqui Moly will easily clean and restore. Liqui Moly claim that regular usage of this injector cleaner will return the cars original performance in terms of power and economy. In terms of value for money, it is a concentrated formula hence the small capacity, so regular usage overtime may be more expensive than the alternatives. It is the best performance injector cleaner and works as expected when used every 3 months. STP provide a wide variety of different types of fuel injector cleaner that are suited towards certain applications. For example, in the first photo within this article, we used the fuel system cleaner dedicated for diesel powered vehicles. It is recommended that you use the STP Ultra 5-in-1 every oil change or 4,000 miles (whichever comes first). Usage of this fuel injector cleaner will not void warranties and it is a great all-rounder as tested by our team. The Red Line formula is safe for continual use for cars that are used heavily or previously neglected cars that need their fuel systems cleaned. Red Line claim that it clean to nearly 100% efficiency from just one treatment, which is very impressive. It is a highly concentrated formula, which is great for storing in the car unlike the alternatives in this article. Regular usage of this fuel injector cleaner can make a huge difference to the way your car outputs its power. Overall, it is the best fuel injector cleaner additive for regular use for gasoline cars and even includes a cylinder lube additives inside the formula. BG Injector Cleaner is another popular product for its powerful cleaning and lubrication abilities. It is the mechanics weapon of choice for tackling tough carbon deposits with a single usage. There are many highly rated injector cleaners to choose from but the unique selling point of the BG formula is the aggressiveness. For those suffering from a check engine light and want a powerful solution to fix it, the BG fuel injector cleaner is ideal. There are plenty of people that think fuel injector cleaners are a waste of time and they do nothing for the health of the cars fuel system. However, there are thousands of proven tests cases in labs that state otherwise. Fuel injector cleaners is a chemistry milestone and restores performance without spending large amounts. Carbon deposits are a byproduct from the combustion inside the engine and as cars become older, the build up increases. Cars that are neglected or constantly run on low octane fuels for years will see a faster build up of carbon deposits. Ensuring your fuel system is as clean as it can be requires top rated injector cleaners and not the cheap stuff found at your local shops. Below are some factors to consider before pouring a range of products into your fuel tank. The benefits are thanks to a chemical known as PEA (Polyetheramine) that dissolves the deposits and flushes them through the fuel system safely. PEA (Polyetheramine) is the ingredient that you should be looking out for and a high concentration of this is a good sign. If the product does not include this chemical, you are wasting your time using it on a regular basis. A smaller container capacity is often preferred to a larger alternative as it makes it much simpler to pour it all into a full tank. Measuring the injector cleaner in the container before pouring it into your fuel tank can be time consuming and hassle. The majority of injector cleaners requiring pouring into the tank when it is empty. This method of use means it is mixed better with the fuel because if it was the other way around, it can stay at the top of the tank and not mix as well. Depending upon the concentration and the formula of the fuel injector will determine the frequency of use. Some brands suggest that you use the product on an annual basis whilst others can be as short as every 3 months. However, we recommend using between oil changes or a certain distance that is stated on the bottle. Not all cars will be used the same during a certain time frame, therefore it is better to use the fuel injector cleaner based on the amount of miles you have driven. As shown below, using fuel injector cleaner is as simple as pouring it into the tank before filling up. This allows the fuel and the injector cleaner to mix for the best results. Pouring the cleaner after filling up the tank could result in the formula sitting on top of the tank and not mixing. The list can keep going and it simply shows the importance of cleaning the fuel system regularly. Its simple, if the injectors are clogged, the engine isn’t getting the fuel it requires to run efficiently and they must be cleaned and restored. Using a fuel injector cleaner from this article will be the best and cheapest method of fixing the issue. Clogged injectors is a common issue that many cars suffer and is one that can be misdiagnosed for EGR Valve problems. Fuel injector cleaner is a cheap product to purchase with many benefits when using on a regular basis. For high mileage, neglected or heavily used vehicles it is highly advised to use it on a regular basis. A popular time to use is after a motor oil change, so that all the engine fluids are serviced. The Chevron Techron Concentrated fuel injector cleaner is the top choice for regular usage and if you suffer from clogged injectors, it should be the first product to buy.